Hastingwood provide an ultra high speed, business grade broadband service with extremely low latency, ideal for high speed data transmission and modern VoIP (Voice over IP) services. 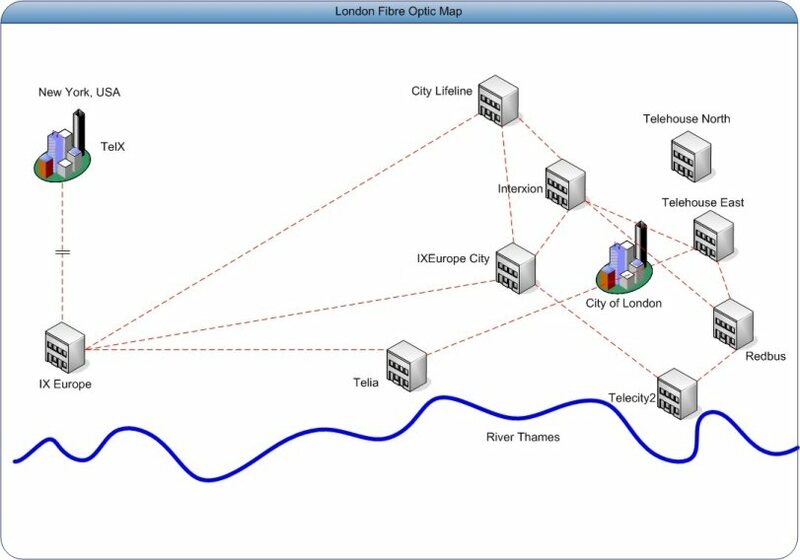 We have recently rolled out a 1Gbps synchronous broadband service at selected sites, making this one of the fastest business centre broadband services in the UK. All other sites offer 100Mbps symmetrical Internet connectivity to all tenants. A range of packages are available, customised for your business' needs. We are an LIR (Local Internet Registry) member of RIPE and an ISP in our own right with multiple POPs (Points of Presence) on the Internet backbone. As RIPE NCC members, Hastingwood can also offer blocks of IP addresses. Data is unlimited subject to our Fair Usage Policy (which we very rarely invoke), please click here to view our FUP. Packet Exchange - On-net to Various other Tier 1 and CDN providers. SLAs are available on request. 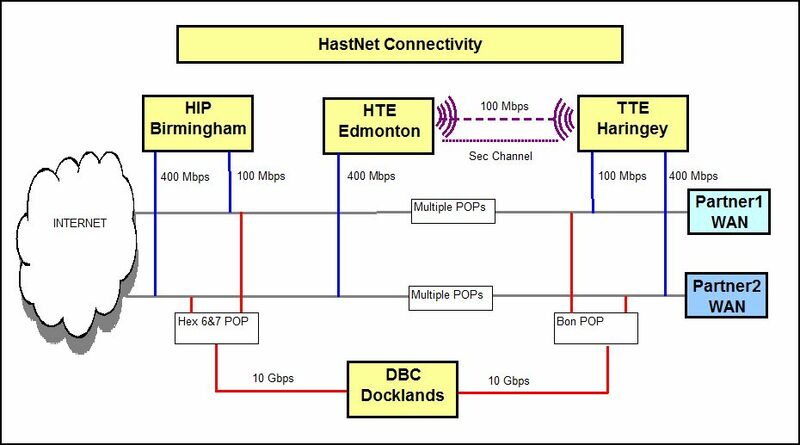 The following diagram shows a simplified view of the connectivity between the Hastingwood sites, our POPs and WAN Partners.